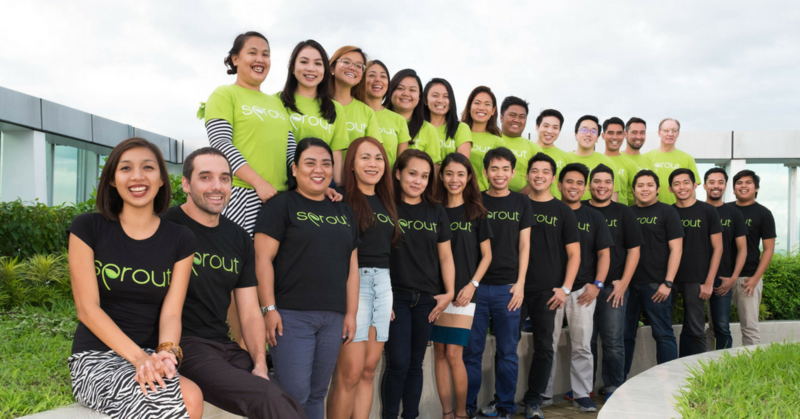 Sprout Solutions is a HR automation startup built with Filipinos at heart, and meant for small and medium-sized businesses. It’s a cloud-based solution that automates everything from timekeeping, attendance, all the way to the payouts. Its goal is to remove the usual administrative hassles, because that time and effort can be spent actually growing the company. Instead of spreadsheets, Sprout Solutions offers analytics that can even ping bosses about employee behaviors that hint at an upcoming resignation. Update: The previous paragraph has been edited to accurately reflect the range of products Sprout Solutions has to offer. The solution was intended for startups and SMEs, but their surprising popularity among large corporations has helped Sprout cinch a US$1.6 million (P83.72 million) seed round. It was led by Kickstart Ventures, and included Wavemaker Partners, Beenext, and a private investor. Their secret to success is solving major pain points in the region—the 32 different ways Filipinos keep time, and streamlining employee profile management. Sprout has bootstrapped its way to more than 200 clients. According to co-founder Patrick Gentry, they thought that only small to medium-sized businesses would need Sprout. They’ve since learned otherwise, and raised funds to cater to the large enterprise segment of the market. It was small nuances that made the difference. “The legacy Enterprise Resource Planning (ERP) products [enterprises] typically use from abroad do not cater to the nuances of business in the Philippines. In contrast, we’ve built our products from day one to make it easier for Filipino businesses to do their core HR and payroll,” said Patrick in a press release. Enterprises are also drawn to Sprout thanks to its robust analytics. Sprout Insight, which is an arm of Sprout, looks at demographics, compensation and attendance patterns. Data compiled can help Sprout Insight forecast which employees might be leaving the company in the next three months. According to Sprout’s Alex Gentry, Insight takes into consideration the company’s size as well. It can even predict attendance levels based on past data, the weather, and information on where employees live. Sprout has also introduced Sprout Recruit, which aims to ease the recruitment process in the Philippines. This function in part, localizes social media marketing for jobs onto its platform. A feature popular among enterprises is a chatbot that helps pre-screen candidates before they meet an actual human being. Recruiters can then select candidates that will receive a call from a voicebot, which allows recruiters to listen to candidates’ responses in their own time. “Soon, our AI will be able to match the most qualified candidates in the company’s database to a specific job opening, dramatically reducing the time it takes to find the best talent while reducing attrition rates,” said Alex. Sprout has pumped this funding in part, into a new office in the Cyber Sigma Building in McKinley Hill. The co-founders’ trip to Silicon Valley inspired the design of this employee-centric workplace. Besides the event space for trainings and an auditorium for town halls, Sprout’s new office offers a nursery, and showers to complement the company’s after-work fitness programs like Muay Thai. It also has plenty of space for any further developments. Sprout is solving a real problem in the region, and proving that corporations are willing to opt for a local startup if they can offer a compelling product. We’ve reached out to Sprout Solutions for comment and will update this space with their response. Ride-Hailing App ‘Arcade City’ Wants To Fill The Void Left By Uber – But Is It A Scam?